If you’re serious about the pursuit of happiness, spend time in Fiji. Fijians have rated themselves the happiest people in the world. We don’t doubt it. I’ve been giving quite a bit of thought to the pursuit of happiness – my own and that of others – while we’ve been staying in Fiji. People from Fiji are happy. Fijians have rated themselves the happiest people in the world, too. Virtually every day here in Fiji, we encounter others who are kind, respectful, accepting and joyful. This kind of thing is infectious, of course, and not limited to Fiji. After we moved to Kaua’i, we started noticing changes in ourselves. We’d been ready to let go of mainland mentality in favor of the pursuit of happiness, but we didn’t realize until several months in how radical a transformation this would be. We were experiencing a sort of reverse Hedonic adaptation. We’ve touched on the concept before (Reality Check: Spending Doesn’t Make You Feel Better). All around us on Kaua’i were folks who had given up mainstream life in the continental U.S. in favor of a pursuit of happiness that felt more true. This translated into living more simply with fewer things. Keeping up with the Joneses gave way to appreciating Kaua’i’s grandeur, as well as holding oneself to a high standard in personal improvement and spiritual development worthy of such beautiful surroundings. We were greatly affected. 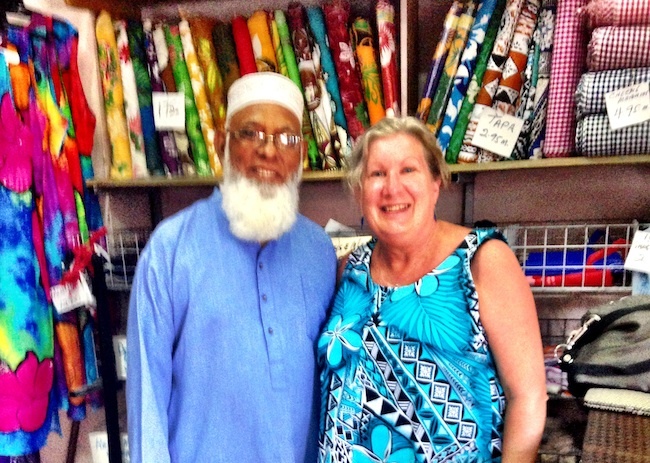 Just as we prepared to leave Kaua’i for Fiji on the start of our RTW trip, we received an email from Kulraj Singh, who had seen our article from 2012 and had been thinking about the pursuit of happiness as well. Kulraj had also researched the Hedonic Treadmill and written a very scholarly post on the subject on his blog. His conclusion? Happiness is an adaptable variable with no set point. Kulraj’s article reported on research which suggests that specific events do not have the largest impact on overall happiness, but the beginnings and endings of significant life changes do. In conjunction with his article, Kulraj created a 4-Week Hedonic Treadmill Implementation Worksheet (you can get it here) which has tactics to help you habituate a strategy toward long-term happiness. First, Kulraj suggests focusing on acts of service and appreciation for two weeks. You then move on to implementing best practices in your relationships and passionate pursuits. This is a simple, yet profound program that anyone can implement in their own pursuit of happiness. We learned to smile more and practice aloha in Hawaii. But here in Fiji, this mindset scales up to an entirely different level. We’ve learned to greet everyone we encounter with “Bula!” In Fiji, it’s customary to wave to strangers and acquaintances alike passing by at some distance, whether you or they are in a vehicle or on foot. When you meet someone’s eyes, or pass someone in the store, invariably they smile and you do, too. Hop on a bus and while you’re finding your seat, you’ll be “bula-ing” all the way down the aisle. If you come upon two together, you say “Bula” twice. Fijians are curious and want to know where are you from and what is it like there, how you like Fiji, how long have you been here, where do you stay and how long do you have left on your visit. For the privacy-minded, this can be a little disconcerting. You learn to respond with a gentle vagueness which is still polite and respectful. If you must say no to an invitation or a request, you say, “Maybe next time.” But there’s a reason for this that goes deeper than just curiosity. A few days ago, we had lunch at the resort next door, and the security person came over and introduced himself, as we hadn’t yet met. In the space of five minutes, we knew Emory had been born and raised in Korotogo Village half a mile away, what his job entailed and then, when he discovered we were Americans, that his late father had collected photos of Elvis all his life. When he learned we’d been to Graceland, the conversation was off and running. In Fiji, there is always an attempt to establish commonality, no matter how remote. Sometimes this can feel a little awkward, like a bit of a stretch. But, it isn’t mere curiosity, it’s connection. Culturally, this process signifies each of you has value. That’s a big deal. When the pursuit of happiness is studied, inevitably the concept of self-worth comes into play. Today, as we walked through his neighborhood waiting on the bus to come up behind us, we encountered Emory with a large machete in hand. In any other locale, this may have been cause for caution: Emory’s an imposing guy. How were we today, yes, this is his home over that way and he was going to chop some cassava. We walked on and the bus came around the bend as expected. About a week ago, we were walking to another restaurant in the neighborhood, and an individual came into view far down the street. Suddenly, he began waving his arms high above his head and yelling “Bula!” As we were the only ones in sight, we waved back. This continued until we’d approached sufficiently to recognize him (with our poor old people eyesight) as someone we’d met only once before. Enthusiastic hand pumping and wide smiling. You’d have thought the most important thing in his life was seeing us again. This made us happy. 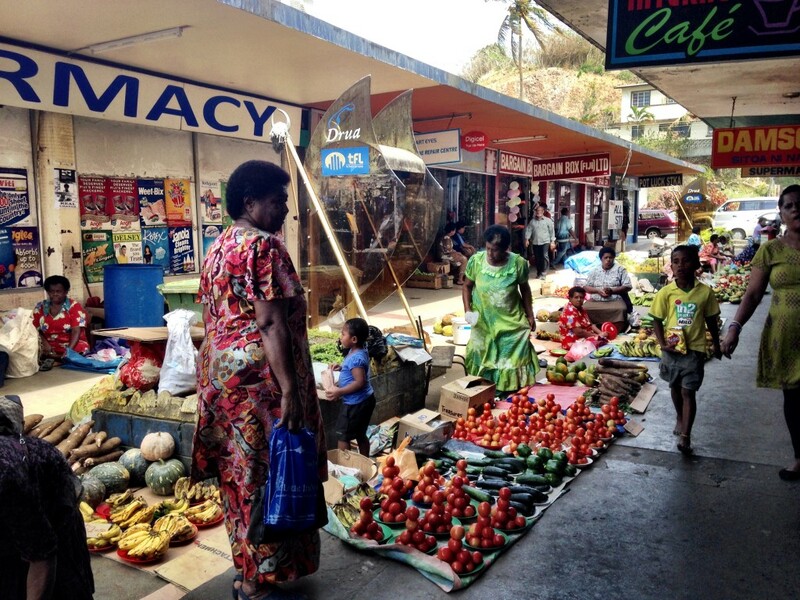 When you first arrive in Fiji, you may be taken aback at how simply people live. Some might even characterize the standard of living as impoverished or suboptimal by comparison with the comforts and luxuries available in other countries. The Satisfaction of Life Index rates Fiji #57 in between Argentina and Israel. In this index, Fiji happens to rate ahead of France, Chile, Japan and Thailand. But since it correlates subjective well-being with social and economic development, Fiji falls far behind the usual suspects (Scandinavia, Western Europe, Canada, the U.S.). In the #1 slot? Denmark, despite the morose countenance of every Dane I’ve met. Gross National Happiness, introduced in the Kingdom of Bhutan and adopted by several countries, including Thailand, is an idea that is also catching on. The UK, Australia, China, France and even North Korea are all indexing happiness. Not surprisingly, North Korea puts itself in the #2 happiness position right behind China. It just may be impossible to sort and interpret happiness on a metric. The pursuit of happiness can be more about managing expectations and reducing comparisons after all, so these studies could be flawed at premise. No matter in terms of life on Fiji. 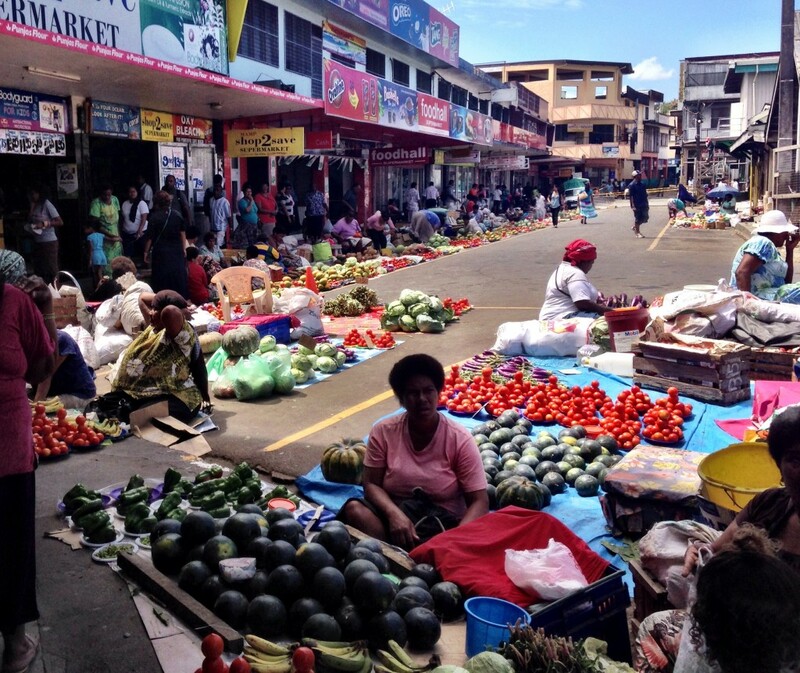 We’re headed into Sigatoka town today to shop for fresh produce and fish at the local market, where things are colorful and lively. We’ll ride the bus, which stops for passengers wherever they might be alongside the road. It will even wait for someone who might be a little slow in coming. There will be catchy music on the bus, blaring from speakers outside the video rental, and coming from most of the stores. We’ll see friendly faces of all kinds and hear chatter in languages we don’t understand. But most of all, we’ll smile and greet, just as everyone smiles and greets us. We’ll be the first to say bula or we’ll respond in kind. When we descend from the bus, complete our purchases and exit the taxi, we’ll be reminded to have a blessed day. And it will be. In Fiji, happiness isn’t pursued. It is lived. Wow Betsy, I have tears in my eyes actually from reading this… and more importantly from being reminded of this. Perfect timing! I really love how you put it… you are of such value to them. We really do forget to acknowledge our own value in someone else eyes and just how valuable they are to us. Thankfully we have people such as the Fijians to remind us! Bula Nat – Aww thanks, I got a little teary writing it, too. It’s such a wonderful realization. Love this article Betsy! Thanks for the insight on how Fiji is a happy spot on the planet. It’s definitely on my must see list. It’s really amazing how different your life can be when you come from a view of abundance instead of constantly trying to keep up with others. Getting to know the people and their culture is my favorite part of travel. We’re really not all that different when you really take a look. Thanks for sharing. 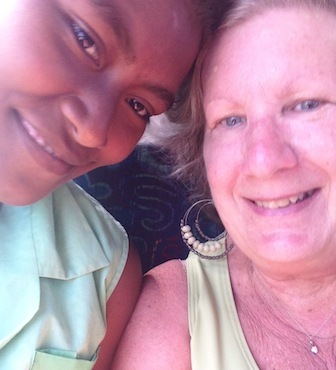 Bula Sue – Thank you so much. You’re right, people are people and we can all be rich in spirit. You certainly make us want to visit Fiji. That really is what travel blogging is all about. Bula Veronica – I’d encourage everyone to visit. Transformational. What an interesting article on happiness. ; very introspective. I really enjoyed it!! I must put Fiji on my Bucket List! I’ve been to Fiji a couple of times but have spent more time below water (diving) than above. Thanks for sharing some of the village and people experiences I’ve missed. Must plan a return trip! What a wonderful post and how great to find yourself in a happy, friendly culture. We have noticed differences like this as we’ve traveled but you’ve done a great job in putting it into words (and pictures). Bula Irene – Thank you. Yes, part of the reason we all go. What a lovely post. I had no idea that Fiji was such a happy place with such happy people. The way you wound a travel article around the pursuit of happiness was wonderful too. Very enlightening. I particularly liked this quote: Happiness is an adaptable variable with no set point. Bula Jo – I returned an email from Kulraj and mentioned that his conclusion had resonated with you. Glad you enjoyed the post. Great post. It made me want to visit Fiji. It sounds as if these folks understand people are more important than things. Bula Donna – Yes, I think it’s intrinsic. We’ve witnessed some comparative small talk regarding wealth and/or status, but no real discernible envy, which of course arises out of dissatisfaction. What a wonderful, upbeat post. It’s interesting how the interior dialogue you have with yourself and how you frame day to day living plays such a role with happiness. It certainly sounds like you’re at a very good point in your life – and may it stay that way for a very long time. We have found through our travels that sometimes the people with the least amount of money are sometimes the happiest! We have seen this time and time again in Mexico! People are friendly and happy. Just because western society thinks they are poor doesn’t mean that they think they are poor. Sometimes having less is better, we have found this to be true ourselves. Fiji sounds like an incredible place to visit and it sounds like the local people are right up our alley,. Hopefully one day we will make it there. So glad that you have had such a wonderful experience there. Bula Kevin and Ruth – Yes, I think we’re all on to something. Like you, we have found that we can actually do more with less. You would enjoy Fiji very much. I’m so glad that I red this. I always wanted to visit Fiji – I was there on a layover which doesn’t count, but so many people in Australia said it was just like Bali. Fiji sounds very different than Bali. I love that they are such a happy and respectful bunch. That’s a very nice dress you got for $20! This post makes me want to book a flight there immediately. How wonderful it must be to be around people who are happy not only to just be alive but to be together. Fiji is going on my bucket list right now. Beautiful post Betsy. You’ve given much food for thought. I feel so lucky to have visited countries where happiness seems to have no correlation to material wealth. I’m skeptical of all these studies that try to put happiness on a metric. I’m not sure what the answer is, but I am so HAPPY to see you appreciating and enjoying the wonderful environment of Fiji! I love this post! The local people are what makes the most lasting impression on our travels, so we need to get to Fiji! I was also reminded that wealth isn’t connected to happiness on our recent trip to the Philippines. Living in poverty, nevertheless smiling and being friendly is just their way. Bula! Bula Shelley – You are so right. It is a marvelous thing to connect with people on the other side of the world.